Share of the following federal taxes paid under a current law baseline for 2026, by income level: individual and corporate income taxes; payroll taxes for Social Security and Medicare; estate taxes; and excise taxes. Baseline is the law in place for year 2026 as of August 23, 2018. For more information on TPC’s baseline definitions, see: http://www.taxpolicycenter.org/taxtopics/Baseline-Definitions.cfm. 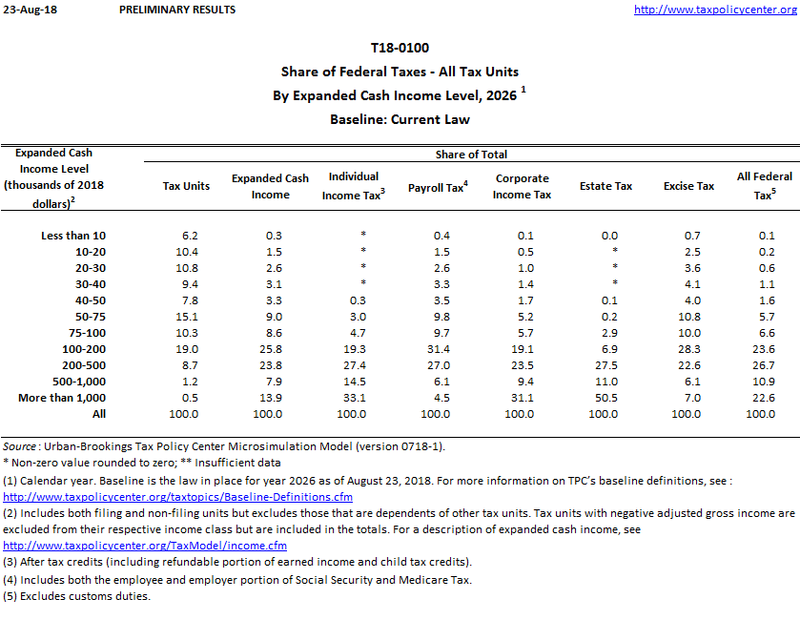 Table also shows the distribution of expanded cash income.